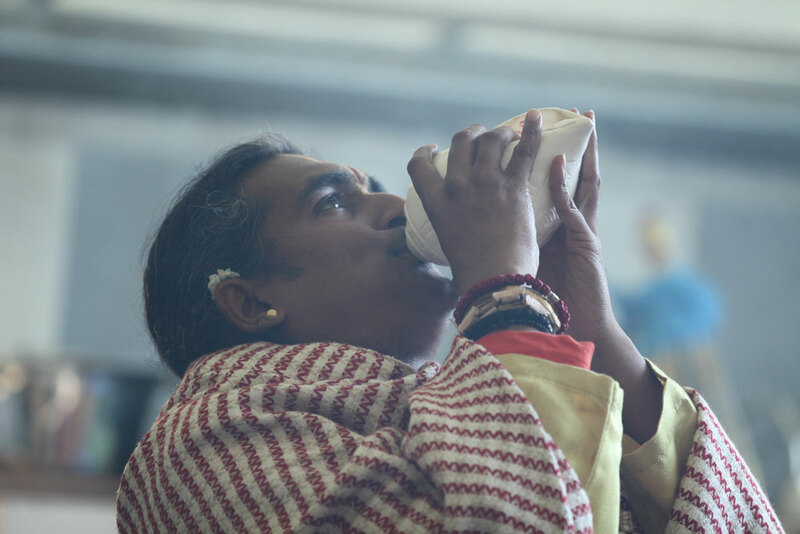 By the time Sri Swami Vishwananda arrived, the kundhs where all ready and prepared to begin with yet another day of intense Yagnas dedicated to the Divine Mother. 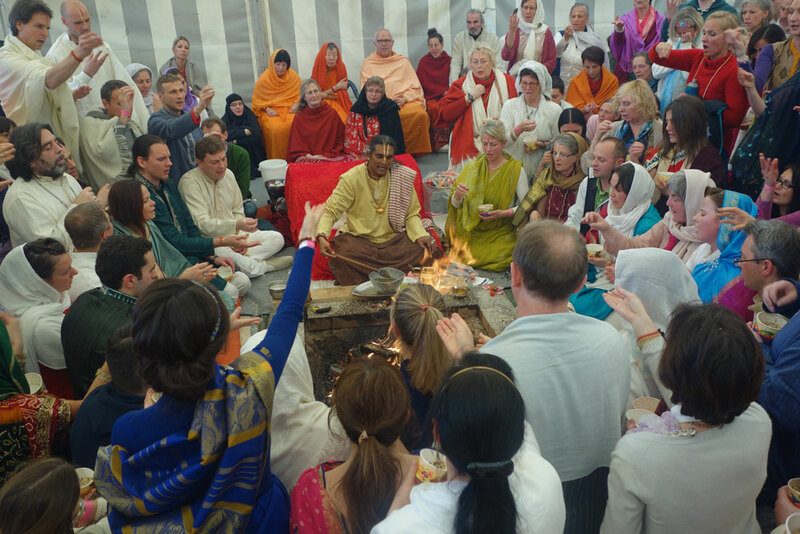 On the second day Swamiji invited everybody to come to his kundh in the front - the 1008 names of Maha Lakshmi were chanted once again but Swamiji had to add several more rounds to allow everybody the opportunity to sit with him at his main kundh. 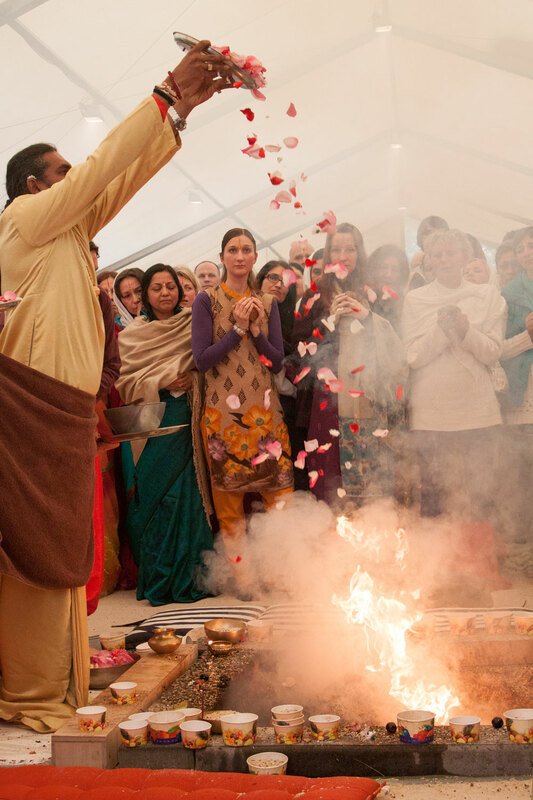 Way after the usual lunchtime had passed (Swamiji was asked by Bhagyshri if we should serve lunch during the ceremonies - he refused: "We should fast for Lakshmi today...") the Yagna came to an end and several different gifts were offered into the fire such as flower petals, coins and a beautiful sari for Maa. 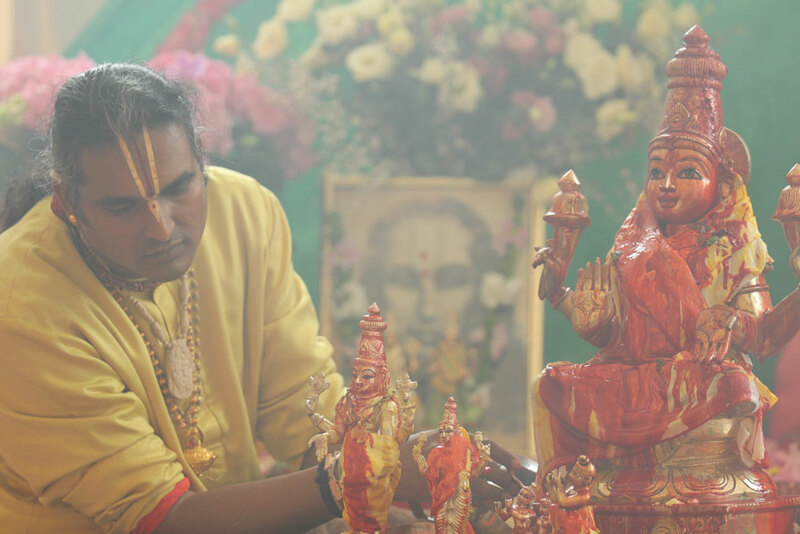 At the end of the Yagna, Swamiji asked the devotees present who would be willing to offer some jewellery made of silver or gold for Lakshmi. 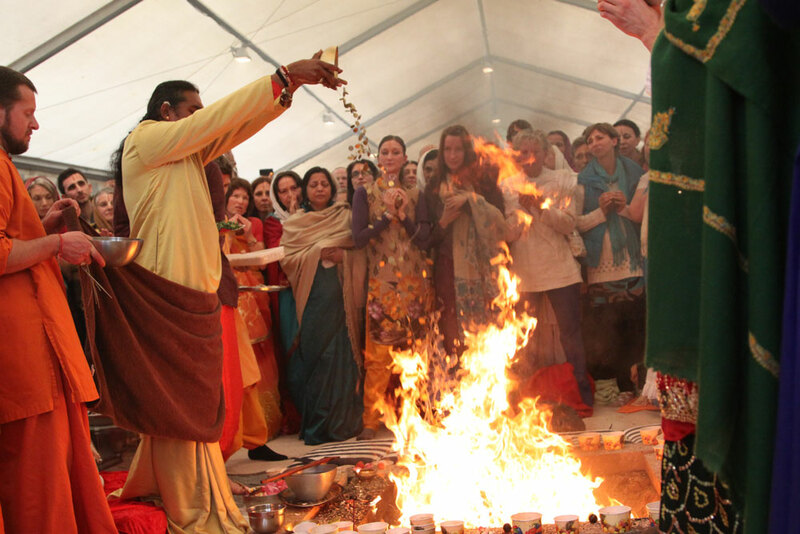 In no time a big tray was filled with all sorts of jewellery and was offered into the fire. 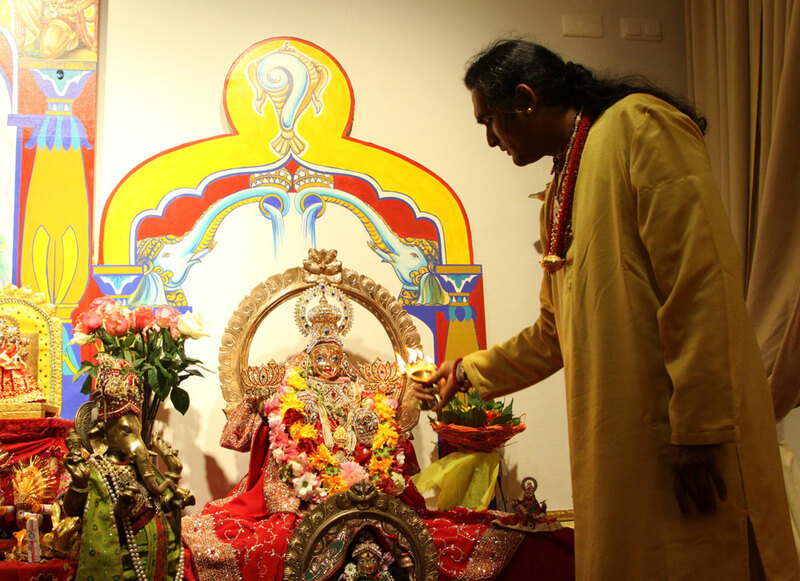 When the Yagna was finished, Swami Vishwananda performed Abishekam with the new Lakshmi murthi which arrived from Chennai two weeks ago, preparing it to be installed in our temple at the ashram. She was incredibly sweet and her love permeated the entire tent, leaving everyone present with a real sense of fulfilment. 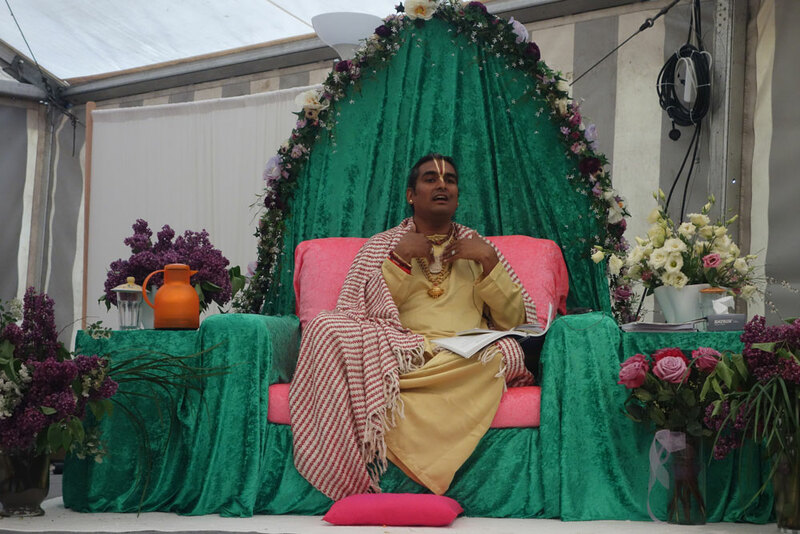 Next on the programme was the Pada Puja to Sri Swami Vishwananda's feet, done by Swami Paranthapa from South Africa. 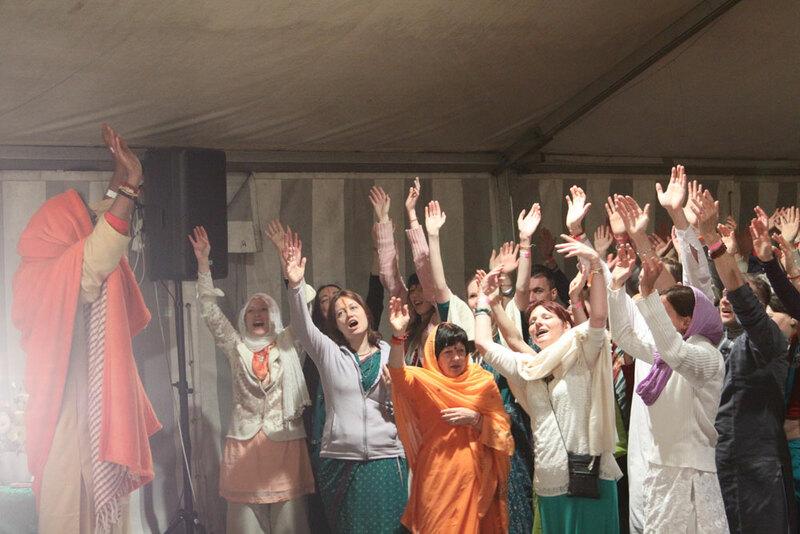 It was a great blessing for us all and a fitting end to the 2-day ceremony. 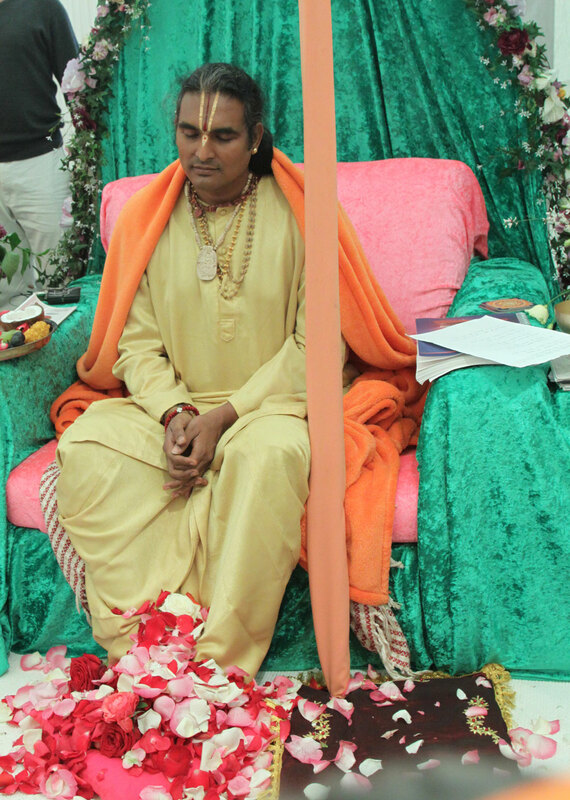 "Lakshmi and Narayana go hand in hand, but they are not the same. 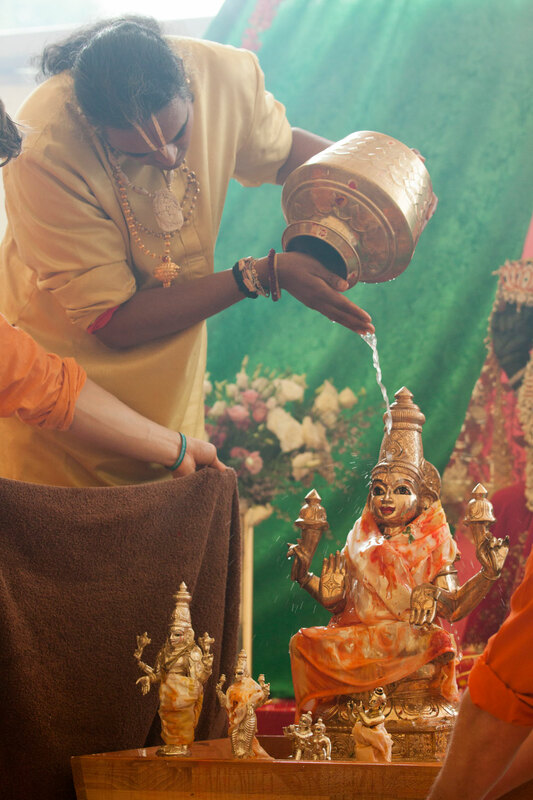 She is always sitting at the feet of Narayana, showing Her devotion and Her surrender to the Lord - to the will of the Lord. She is ever ready to bestow what the Lord asks for, without any questioning. In that aspect She is showing how we should surrender to God. 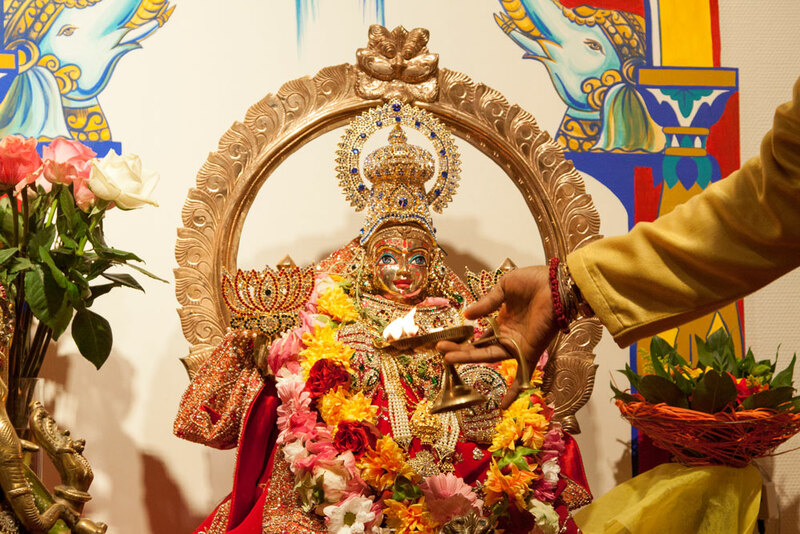 She helps us to reach the Lotus feet of the Lord, to receive His grace and attain Him. Whoever asks with a pure heart will receive Him. She is the spiritual wealth, the spiritual giver." 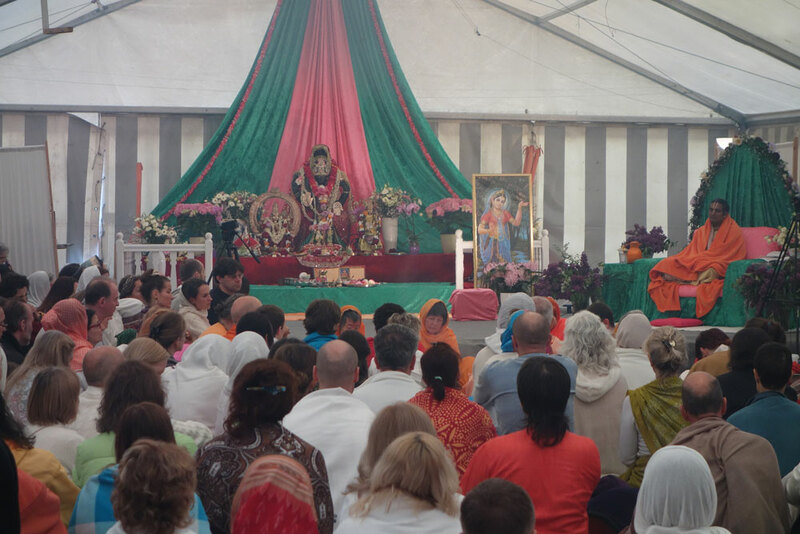 In the form of a procession, Swamiji carried the freshly inaugurated Lakshmi Murti to our temple, where She was welcomed by a lot of devotees with an aarti and joyous singing. 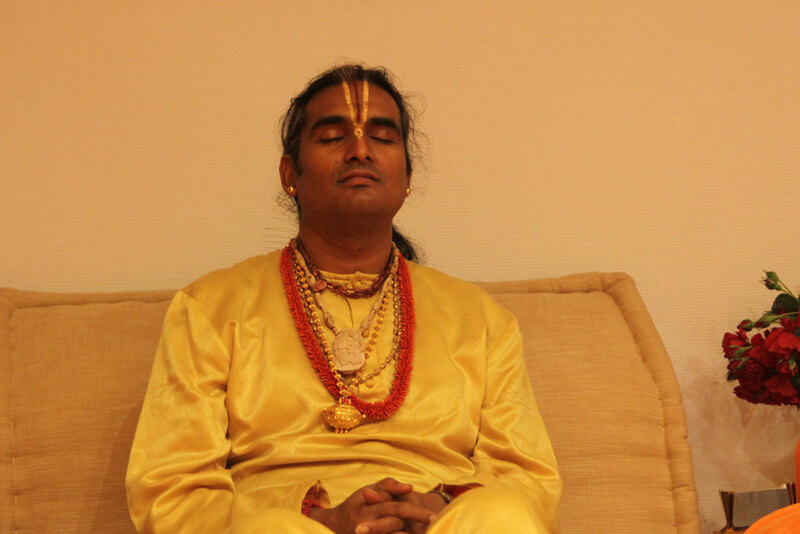 The day ended with a deep silence and meditation together with Swamiji, reflecting on all that had passed during these 2 days, all the blessings we had received and all the Love that he continues to give to us, event after event after event. 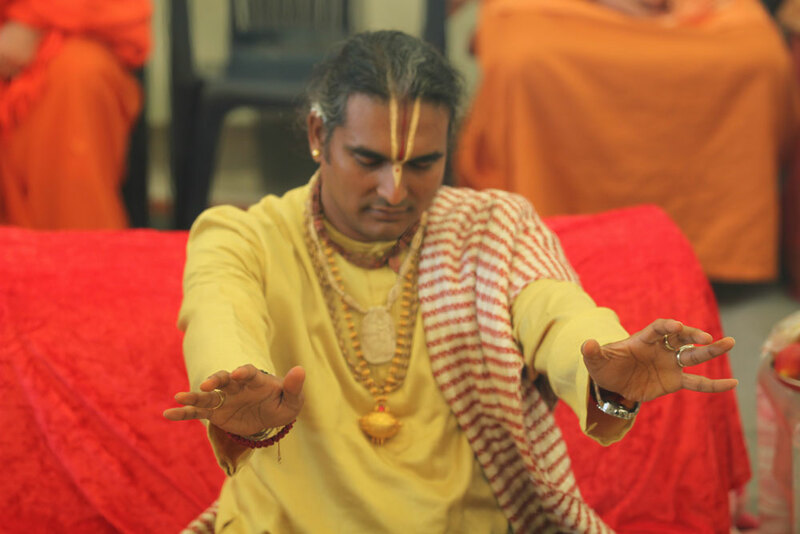 Our deepest gratitude to Swamiji and Maha Lakshmi!